While the Dow Jones Industrial Average is slightly up today (0.27%), the Dollar General stock price (March 15) is surging 4% as of this morning. 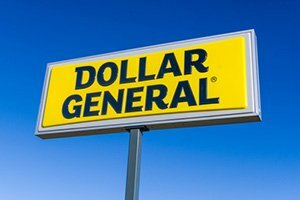 In the Dollar General Corp.'s (NYSE: DG) Q4 2017 earnings report today, it hit earnings per share (EPS) expectations ($1.48) but missed on revenue, reporting $6.13 billion instead of $6.22 billion. But what made shareholders really happy was the company increasing its dividend payout 12%, from $0.26 per share a quarter to $0.29 per share a quarter. That means shareholders are getting a 12% raise on their income from DG stock, and more buyers want in. Dollar General will also increase its share buyback program by $1 billion. With DG buying more shares, that can increase the DG stock price because of increased demand. It could also attract new investors, sending the price even higher. Thanks to tax cuts, American corporations can now "repatriate" an estimated $3.1 trillion in earnings they've been holding outside the United States. Fortunately, much of that $3.1 trillion is expected to go into investors' pockets in the form of dividends. This is something we're calling "triple-compounding dividends." Identify stocks with consistent, long-term dividend growth and a higher-than-average yield. Prioritize the ones with extreme share-price growth potential based on "must-have" products and services. Then, reinvest through thick and thin. In this special research report, you'll get all the details on this once-in-a-lifetime opportunity.